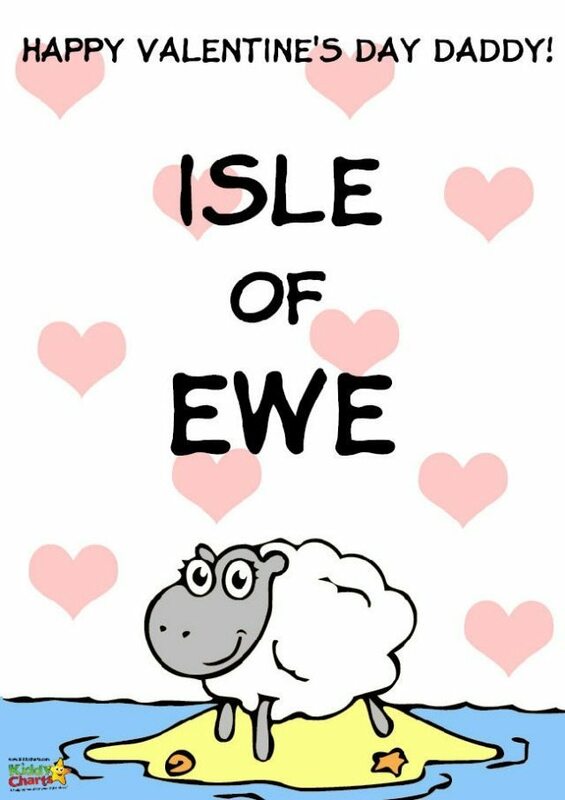 Four free printable valentines day cards: Isle of Ewe! Ah Valentines Day Cards. They are everywhere, and they all cost a little bit of your hard-earned cash; but not on KiddyCharts they don’t! We have four great designs for you, that you can even add a little extra something to. Who doesn’t love a good Valentines Day Pun? 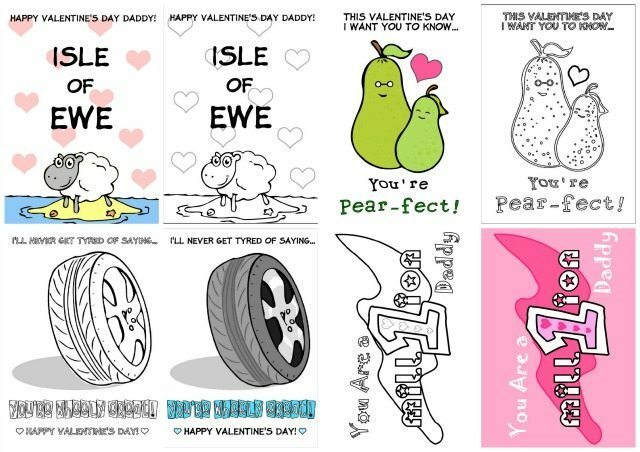 We certainly do, and we have four cards with Valentines Day puns on for you, that will melt the hardest Father’s heart. 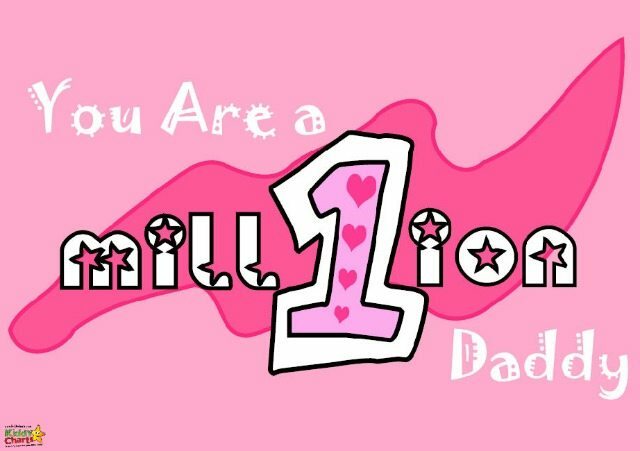 We have even given you the cards in outline, so our children can colour them in for their Dad’s as well. What more could you ask for? Aren’t they all just awesome! As we also have the black and white versions for you of these Valentines Day Cards, so you can also have a little bit of fun with these. Use the Black and White I Love Ewe, and add some cotton wool to decorate the sheep, and some tissue paper on the island perhaps? Maybe you can even find some heart stickers for the background too? That’d make a rather gorgeous and simple homemade valentines card, don’t you agree? 50+ Valentines printables that you simple have to check out! Make sure you don’t miss out on our gorgeous weekly printable as well, just sign up to our newsletter, and you won’t miss a thing. 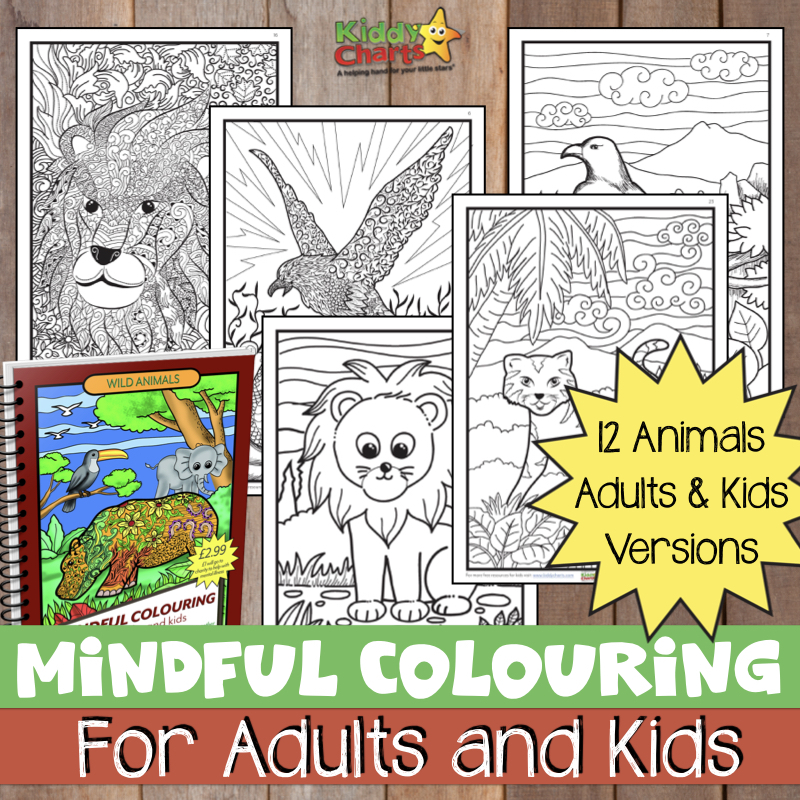 We are also very active on Pinterest, and always pin some great printable resources, so do follow our Pinterest Printables board as well, won’t you? So that’s us for another week, see you next week where we will share more printable fun for you. If you don’t have time to do these cards now, then do pin them for later! This is excellent for valentines day gift!! Thank you! !